There was a time last year when Johanna Long, driver of the No. 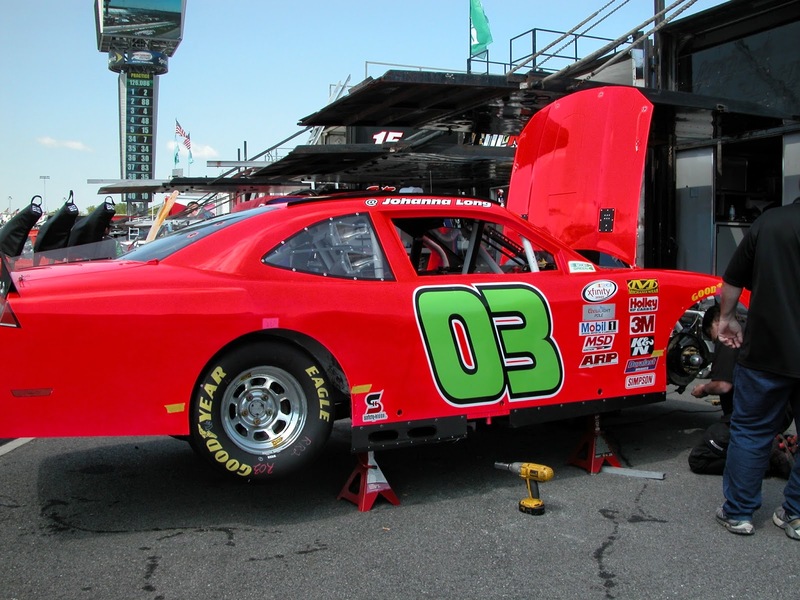 03 Mike Affarano Motorsports Chevrolet, doubted whether she would ever be back racing in NASCAR. When her hot-pink Camaro rolled off the truck at Richmond International Raceway this weekend those doubts disappeared, for just a little while anyway. “It was hard and very depressing not to be racing. 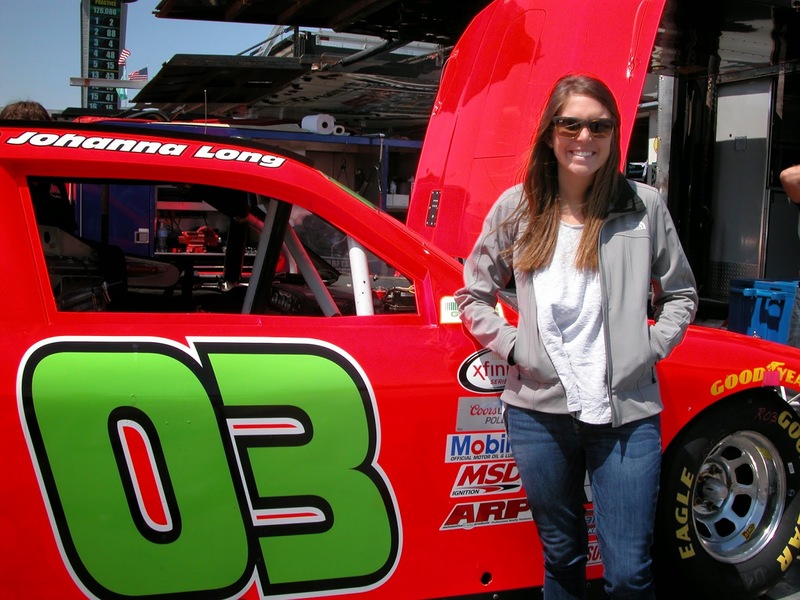 I started to think that I wouldn’t get another chance to race in NASCAR,” says Johanna Long. The 22-year-old lost her ride at the end of 2013 when ML Motorsports owner Mary Louise Miller folded the team due to lack of sponsorship. Unfortunately, after a disappointing qualifying finish, the No. 03 team had to load up the car to go home. According to team owner Mike Affarano the team will try it again on May 17th at Iowa Speedway. Carol D'Agostino is an avid NASCAR fan and Fantasy NASCAR enthusiast. Carol has been writing a weekly column called NASCAR Fantasy Fusion for Skirts and Scuffs since October 2011. She owns and operates Purple Cat, a public relations and marketing firm on Maryland’s Eastern Shore. She also serves as Main Street Manager for the Town of Centreville. In addition to NASCAR, Carol is a Philadelphia Phillies fan and enjoys gardening and cooking. this is one reason why CUP DRIVERS should not run in the series. A under funded team has to pack up and go home. NASCAR states this is suppose tp be a "learning series" How can you learn when CUP drivers come in and JUST want to have some "FUN and RACE"
I could talk for hours on this subject as I have to so many people who want to drive a race car. The main issue is that no amount of talent is going to overcome the fact that racing at this level of NASCAR is not the same as running go-karts and you are not going to accomplish anything by putting together a race car in your backyard garage and think that you are going to be competitive in a high level NASCAR series. The Nationwide Series is not a "learning series" these days. You should be accomplished at the Late Model and K&N levels before attempting trucks or Xfinity. This is not the 1980's when the top level of NASCAR was less sophisticated than running a late model these days. Too many people trying to skip too many levels and they are not prepared nor are the teams they are going to who are in over their heads. 15 mph slower is nothing but dangerous to Johanna and to the other drivers on the track. She needs to get in good equipment to showcase her talents at a level that her budgets permits her to do so. I believe she can do well but she is bringing a rubber knife to a gunfight! In 2012 and 2013 Johanna Long was around #20 In the points standings in Nationwide (Xfinity) and she didn't even have a top of the line sponsor. Give her a "Deep Pockets Company" and she can produce !! !